Kn2s Productions interviews Krisstian de Lara, director of El Flaco, an award winning documentary short film, to discuss El Flaco‘s Premiere in the largest LGBT Film Festival in Boston, Wicked Queer. 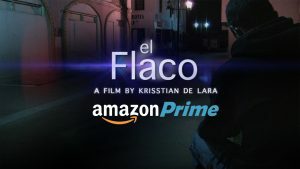 El Flaco is a five minute documentary featuring a male prostitute who pays for police protection to be able to work in downtown streets of Ciudad Juarez, Mexico. De Lara is an up-and-coming director that has shot films in Texas, South Florida, Mexico and Spain. He made his feature film directorial debut with horror film, Investigation 13 and is currently in the production of his second and third directorial features: Dressed in Sugar and Rift City. In this interview, De Lara goes into detail about what it means for El Flaco to premiere at Wicked Queer, its festival success, and its whole meaning on a larger scale. Thank you Krisstian for joining us today for this Kn2s Productions interview and congratulations on the premiere of El Flaco in Boston at Wicked Queer this Sunday, April 9th. De Lara: Thank you for having me and it’s an honor to showcase El Flaco‘s story on the big screen once again. 1. What does it mean for El Flaco to premiere at Boston’s LGBT Film Festival, Wicked Queer? De Lara: It is more significant than ever. Bringing El Flaco‘s story into the limelight is so important, especially now that the border between the United States and Mexico is making such negative news at the international level. This documentary portrays the real life of a person who is trying to make a living and, in addition, cutting through the town’s deadly judgmental society is nothing more than admirable. Especially in Juarez, a city known for cartels and for being a drug gateway to the U.S., it can be very tempting to anyone who is struggling economically to be involved in that kind of world. 2. El Flaco won Sun City Film Festival, and it continues to be selected to numerous festivals, why do you think there is so much interest into the life of El Flaco? De Lara: I think it is what I had before I filmed it; curiosity. I was curious about what a male prostitute does and doesn’t do, as if you were opening a little window to his world and honestly, it’s fascinating. Aside that fact, it might be hard to find a male prostitute working the streets in the middle of the night and even more difficult asking your mother to pay for him [Krisstian laughs, more about that story click here] but I can relate as to why people are intrigued by his story. 3. 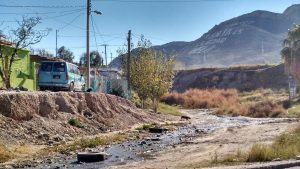 Looking at who El Flaco is in this border community, what does it tell us about the Juarez and El Paso relationship and its impact in the United States? De Lara: The El Flaco’s documentary doesn’t portray a criminal but instead a victim of a bigger picture. It shows that Mexico and the United States have an unbreakable connection and we need each other to combat poverty and human rights. It is in our best interest to improve our economic, trade and drug control issues to build a functioning and cooperative border community. Thank you Krisstian and looking forward to the premiere of El Flaco in Boston. De Lara concludes the interview by thanking Kn2s Productions, and inviting the audience to watch El Flaco on the big screen this Sunday April 9th at 3:30pm at the beautiful Paramount Center at Emerson College. Watch El Flaco’s trailer below or click here. Cool interview, keep up the good work! Very nice article. Thank you for everything that you do!